Six course meal paired with hand selected wine for each course. Reservations available for a minimum suggested donation of $150.00 per person. Family Style Seating. Adults Only. Curated Silent Auction Items will be offered. 100% of the evening’s ticket and auction proceeds benefit The Peak School. Hand Mixed cocktails by famed mixologist Billie Kiethley of Breckenridge Distillery begin at 5:00pm followed by an elegant dinner and auction. 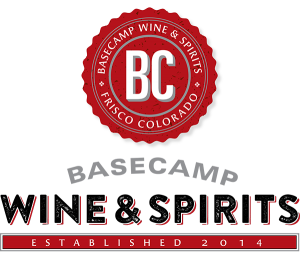 Partake in a gourmet 6 course meal hand prepared by Sauce on the Blue executive chef, Dan Hoyle paired with the finest wines hand-selected by managing partner Tim Applegate and Josh Vander Meer General Manager of Basecamp Wine & Spirits. To enhance the elegance of your evening, make an additional donation to The Peak School for Exclusive Premium Booth Seating at the Windows of Sauce on The Blue. $1500 for a party of 6 and $1000 for a party of 4. Only three booths available. Bid on fine wine baskets, aged bourbon, unique travel packages and… The Ultimate Hamilton Experience including TICKETS to HAMILTON in New York City! The Peak School is more than a school; it is a vibrant educational community of families, educators, and residents of Summit County all working toward the same goal—to ignite a passion for learning and develop student’s individual identities as informed and engaged citizens. As a progressive independent school, Peak focuses on a personalized education delivered through challenging curriculum and taught by talented, experienced teachers. Located in Frisco, Colorado, The Peak School serves middle school and high school students in grades 6-12. Seventy percent of the student body benefits from financial aid support made possible through our community-based fundraising. Visit thepeakschool.education to be inspired by our educational community.